Railroad stocks can be a stable investment. The railroads play an important role in the economy, and some analysts see railroad companies as a stable investment because of their limited competition, consistent dividends and developed infrastructure. The industry includes several large railroads that cover most of the North American market, along with many smaller railroads and support companies. Railroads have generally proved more profitable during strong economies. Investors who analyze these companies and study market conditions can find investment opportunities in railroad stocks. Determine how much money you have to invest by evaluating your assets and debt. Consider paying off high-interest debt before investing in stocks that could produce lower returns. Decide which brokerage service to use to purchase your investments and establish an account. You can use an online broker, which often offers discount services, or a traditional broker that provides research and advice. Services include E-Trade, TD Ameritrade and Charles Schwab. Develop an investment strategy. Decide if you want your investment portfolio to produce short-term gains or long-term stability and create a plan to buy company stocks or bonds to meet those goals. Research market trends and economic conditions and decide what railroad stocks fit your investment strategy. Some market research is available online and through traditional news sources. Investment analysts sell access to more detailed reports. Purchase shares of stocks from companies you’ve identified in your research. Leading North American railroads include Union Pacific (UNP), CSX Corp. (CSX) Norfolk Southern Corp. (NSC), Kansas City Southern (KSU), Canadian National Railway (CNI) and Canadian Pacific Railway (CP). 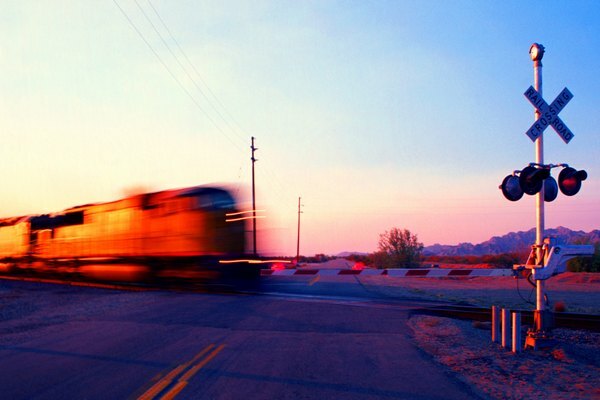 Expand your railroad investment portfolio by investing in railroad company bonds, smaller railroads or service and support companies such as Koppers (KOP), GATX (GMT) and General Electric (GE). Some mutual funds might also include railroad stocks. Evaluate the performance of companies in which you own stock. Monitor the value of your shares and make adjustments to your holdings as market conditions change. Railroads generally perform well during economic growth and struggle during downturns. Examine commodity markets before choosing railroad stocks. Coal, agriculture, petroleum, lumber and automobiles are the leading freight railroad cargo and slowdowns in production can affect the industry. Watch gasoline and diesel prices. Railroads gain an edge over their competitors in the trucking industry when fuel prices are high. Monitor industry performance through indexes such as the Standard and Poor's 500 Railroad Index. Investing can be risky. You should not invest if you are not financially able. Consider researching your stock broker or investment adviser for past disciplinary actions or other issues. The U.S. Securities and Exchange Commission is one source you can use to evaluate financial advisers.